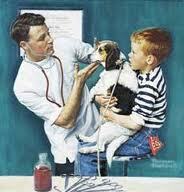 A little history: Back when most veterinarians were extra smart farm boys, what we now call wellness exams used to be called annual check ups, office visits, just plain exams, or -- if we were being fancy -- a physical exam. Before the 1960's a lot of dogs were dying in high numbers from parasites and distemper. And before the success of nationwide rabies innoculations, many dogs had rabies. We were thrilled, as veterinarians, if we could get people to bring their dogs in once a year for a good exam, a dip for parasites, a dose of worm medicine, and vaccinations. 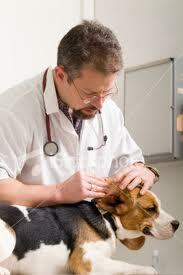 Otherwise the norm was to bring a pet to the vet only if it was badly injured or very sick. The common attitude as late as the 1970's was that if the pet couldn't "be fixed" for under $100, then euthanize it because we don't want it "to suffer". The spending threshold for cats was about $50. As more and more people starting treating their pets as part of the family, more and more vets switched from cattle, swine, and horse practices to become pet doctors. It was exciting and interesting to perform more sophisticated medicine and surgery than was commonly done on farm animals. Now, it's gotten to the point where farm animal vets are a tiny minority of our profession, and not only are there not many young farm boy vets these days, there aren't many boys period. Well over 75% of new vets are bright, young women from the suburbs and cities. I miss a lot of things about the American culture of the 60's in which I grew up ... back when men were men and so forth ... but whether or not it's due to all these young women entering our profession or due to more general major changes in our society ... there's no getting around it; the improvement in the care we now routinely offer our pets is phenomenal! The quality of veterinary care today is light years better. Our knowledge is better, our equipment and lab capabilities are infinitely better, our medications are much better, and most of all, the general public is now committed to taking really good, responsible, and loving care of both their cats and dogs. It's been a wonderful change. Another wonderful improvement has been in the number of people adopting stray pets from shelters and all the animal rescue work and wild life habitat work being done. At any rate, among the many improvements in how we treat pets has been the emphasis on preventive medicine and "wellness". 1. More frequent and more in depth physical examinations regardless of whether vaccinations are needed. Just like in human medicine. Our goals are to have a good and close doctor and patient relationship. To detect problems early enough to make a big difference. To have time to discuss nutrition and arthritis and weight control and skin care and parasite control and oral hygiene. You simply can't do any of these topics justice in a single 15 minute visit. It takes time and it takes repetition. And then there's the rapid aging of pets; They age about 7 times faster than humans, so having a good exam once a year would be like every 7 years for a human. We think that bringing your pet in for twice-yearly physical examinations ... wellness exams ... is an ideal balance between good medical care and being practical. It allows us to have a twice yearly deworming program, it lets us spread vaccines out (if needed), and it give us the opportunity to perform screening tests if appropriate. We are so enthusiastic about encouraging you to bring your pet in twice yearly that we don't charge anything for what we call the midyear wellness exam. All you pay for is any vaccines if they are needed, deworming, and any tests that might be appropriate. 2. Vaccinations are still important. We have new vaccines for gum disease in dogs, we have a new vaccine for fatal calici disease in cats, we have new improved leukemia and rabies vaccines for cats that don't cause the potential problems the old vaccines were causing. They're better and safer. But we no longer just give every pet the same vaccines year after year. Now we individually choose which vaccines are important based on your pets age (critically important the first few months and years of life), your pets exposure, the region of the country you live in, and your pet's general health. 4. Blood screening tests should be done regularly starting in middle age. 5. We recommend chest and whole body radiographs for cats in late middle age, as well as chest and spinal and joint radiographs for dogs in late middle age. No matter how many advancements are made in veterinary medicine, they can't benefit your pet unless you schedule regular appointments, preferably twice a year. Doing so can help assure your pet lives a happy and healthy, and hopefully long, life as a member of your family! The FoxNest Veterinary Hospital: Our shelter is closely associated with The FoxNest Veterinary Hospital which graciously shares or provides facilities, staff, and medical care. Learn all about our practice by visiting our hospital web site. 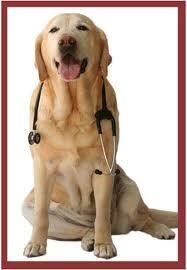 Go directly to our FoxNest Vet page about wellness exams by clicking here. The Animal Pet Doctor: This free veterinary information site contains hundreds of pages about the care of sick and injured pets. Other topics include poison information and WildLife Rescue Information. Jokes, pictures, misc comments, stories, and an interesting section on the history of veterinary medicine. Enjoy. This page is about why we recommend twice yearly wellness exams ... but it's also about changes in our culture and profession and how we interact with our animal friends.